To deal with the leprosy problem in the Hawaiian Islands in 1872, sufferers were relentlessly exiled to Molokai, a barren isle off the coast. There they lived in miserable surroundings, abandoned by the outside world. 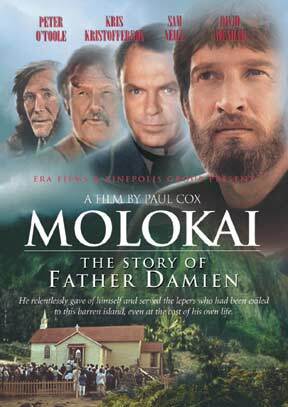 To alleviate their fate, Father Damien was the first priest to go to Molokai. His bishop's last words were that "he must not touch anyone." Little by little, Damien earned the trust of the lepers, and eventually, his appeals for nuns and supplies resonated throughout the world, much to the displeasure of his superiors. Even when Damien got sick himself, his energy did not abate, and he carried on working for the well-being of his "fellow lepers" to the end. When he crumbled during Mass, he was taken to his own hospital to die. All the residents gathered at the entrance to pray for their Father.